Weight Watchers Changes 2019 - No Longer Weight Watchers! Here we go again. For Weight Watchers members it is time to start wondering what is up the sleeves at Weight Watchers corporate. In the past, they have made major changes to the program so that members have to buy new books, counters, and revise their eating plans. This time, the news is good. Weight Watchers is not changing Freestyle or Simply Filling. On 2019, they intend to change their name, branding, and emphasize healthy habits. They are adding more features and trying to make the scale only one measure of wellness (and maybe not one for you). I happen to like it. In other good news, there will be more zero SmartPoints Foods. Hurray! 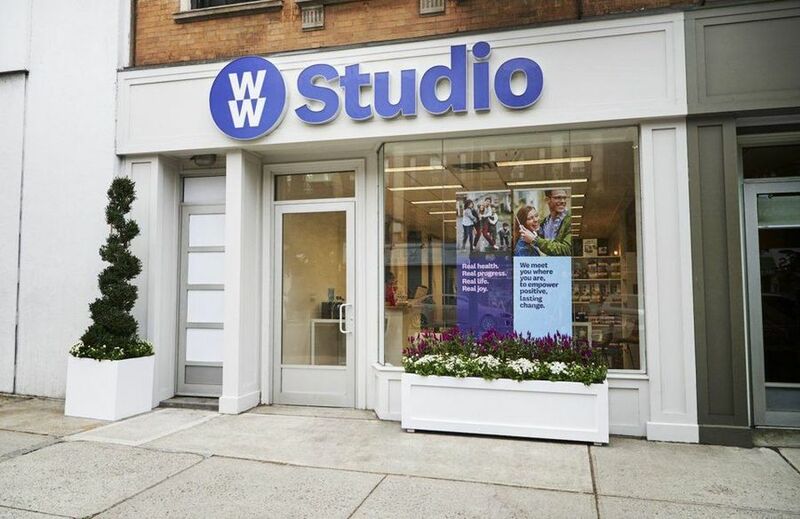 ”Weight Watchers” is becoming “WW” with the tagline “Wellness that Works” - because it isn’t about losing weight as much as it is about getting healthy. The word “weight” is disappearing from their lexicon. I attended an internet meeting with Gary Foster, Ph.D. who is the Chief Scientific Officer of WW yesterday to learn about the updates. The WW mission statement reads: We inspire healthy habits for real life. Which would you rather attend? A meeting in a store with a leader or a workshop in a studio with a wellness coach? The Wellness Check In is not only about a weigh in. First of all, you don’t have to weigh in if losing weight isn’t a goal for you. You can talk about eating more fruits and vegetables, workouts, meditations, or all the times that you didn’t attempt to throw your phone at your boyfriend’s head. Wellness may be a squishy word because it encompasses so many concepts but I think it is a good one. Maybe you want to bring down your bad cholesterol numbers, or maybe you are prediabetic. There are many good reasons for attending a wellness workshop and the answers to these common afflictions overlap. I asked if they would test blood pressure at the workshops - and he said they might in the future. The concept that you are checking in on all those other aspects of health is a good one. I know most of you know that weight is just one measure of health and maybe not an important one for many people. For example, I gained 8 pounds when I trained for a triathlon. Was I healthier? YES! and heavier. I believe that Lifetime Membership FOR NEW MEMBERS is going to go away at some point. This is not an official announcement but It seems logical to me that the goals for attending WW workshops are not only about losing weight. Dr. Foster indicated that Lifetime memberships are a relic of the older programs. Today, they are launching a program called “Wellness Wins” that will help you build healthy behaviors. As you track your new habits you get “wins” that you can trade in for free gifts. (They can’t call it points because you are already tracking points in the foods). The idea is that you get rewarded for shorter term goals that keep you moving in the right direction. One healthy habit could be meditation. WW is partnering with Headspace to provide some content to help you with this practice. I will review Headspace on its own in the coming weeks because I had never heard of it. The concept is an app that teaches you to meditate (and they charge you $8 per month for the service). What does the future hold? How about having Alexa track your points so you don’t have to write anything down? They are working on it. WW wants to help you with all the issues that may be holding you back - food, mood, stress, sedentary lifestyle - and your relationship with yourself. I think that all of this makes sense. People don’t want just to lose weight because they know they put it back on again - they want to change their lifestyle and become healthier. Good work, WW! What do you think of the Weight Watchers changes for 2019? New Weight Watchers Freestyle Review: Hate or Love? I always appreciate your posts. But, I don't think you should say that WW is giving up on life time in the future unless you know for sure. That could be a game changer for many. I'm fairly sure that would be the end for me, but I'll try to stay positive since I'm not back there yet. I'm a lifetime member. Gained some back since then, about 8 years ago. I LOVE LOVE LOVE, freestyle! I'm already losing weight again. Yay! I would really like to understand more about "meatless" products, like Morning Star Farms and Boca, etc. Love your blogs Snack Girl. Thank you. I love Freestyle. I was already Lifetime,but decided to lose 10 lbs. I love the program and feel Lifetimers are incentives for new people. I’ll be very disappointed in WW if they do this. We have many retirees at our meetings. They will be very turned off if you get too much into technolog too fast. Wonder how they will market all the prepackaged, overpriced “snack” items they sell as being healthful? I think doing away with free meetings fir lifetime achievers is wrong. People have worked hard for that weight loss and to now make them pay to continue meetings is not a "wellness" strength. @Debbie - I hear you but Gary Foster indicated lifetime is a relic of the old program and not consistent with their new vision that isn't about only weight. I am not saying that there will not be offered that is similar. I don't think they could take away Lifetime from members who currently have it - but they may not offer it in the near future to new members. I liked WW when it was Weight Watchers and before they switched to Freestyle. I am tired of all the constant changes in the program and am doing SmartPoints independently. If Weight Watchers loses the lifetime membership weigh-in, they will lose me. I worked two hard for a year to attain goal. The monthly weigh-in is my check-and-balance system and keeps me at goal. If it goes away, I will go find another program. I can't help but feel they are trying to appear "hip, cool, and modern," going with the new way to view your body. The fact of the matter is that losing the weight and keeping it off has gotten me off of blood pressure medication, and I feel so much more energetic and enjoy wearing my clothes. I don't really care about learning to accept my body at a weight that doesn't feel good or focusing on good health instead of healthy weight. Do you know for sure Lifetime is going away? It doesn't make sense at all for a Lifetime membership to change with this remodel- what a wonderful reward. Wellness is a lifestyle change that one takes on for good, not just while losing weight or training for a goal. As research and processes change, people who have reached their "goal" should be entitled to be as much in the know as people who are new to the process of getting well. I think it makes LESS sense and is a shame for them to get rid of the Lifetime membership at this point if they are truly committed to keeping their members healthy for life. Just wanted to mention that I've been using Headspace for 3 weeks and it is awesome! Also - it is included for free as a skill on Alexa if you are an Amazon Prime member so no monthly fee! @Lori - That is a very good point. But, if you look at it from their perspective - they continue to give you value and you aren't paying. I do not know for sure it is going away but the executive I spoke with says it was part of the old programs and not consistent with the new focus. I do not believe it would be smart to take it away from the people who have already attained it. I have been with Weight Watchers for many years. I have reached Lifetime at least 4 times. I can probably buy a spanking brand new car with the amount of money I have paid for my monthly pass over the 12 or so years. I use WW to keep my weight in check. I pay for the monthly pass in order to make myself go to the meetings. I have learned quite a bit about weight loss and maintenance from other WW members and meeting discussions. The WW scale keeps me accountable. But as of lately, weight loss is not discussed vs discussion of the WW App on cell phone. About 25 minutes goes towards the WW App and the other 5 is spent on Weight Loss celebrations. So I now go to the meeting to weigh in and then I just leave. How about commenting that they are going to be sending you FREE GIFTS? Now, I didn't bother to read YOUR WHOLE ENTIRE POST...because I find your title to be very NEGATIVE. I read where you will be rewarding for logging your food, tracking your exercise. Don't know why you have to be so negative. Now calling it a STUDIO instead of a Center. Would be great if our insurance companies covered some of this. I bet WW would get double the members then. WW is a BUSINESS. Their goal is PROFIT. They bank on the weakness of people who have no self control. Get real, people! I feel the same....worked hard to be a lifetime member. My goal was to loose weight only. I think the overall changes are good, but I will be very discouraged and disheartened if they get rid of Lifetime. I like focuses on overall health. I think the BMI is outdated and doesn't account for muscle, but I'm not a doctor, so it's just my opinion. I like Freestyle because I'm eating cleaner, but I really have to watch my portions of the 0 point foods. As someone said, they aren't free foods. I like workshops better because it's more about learning and building. People get stuck because they think it's a diet and think they can go on their own (and some people can). I can't do it on my own. The idea of workshops and coaches gives me the idea that it's ongoing and we keep learning. Still, I really hope Lifetime doesn't change. It's a major selling point. I understand though that if weight isn't someone's primary goal then how are they going to reach Lifetime. Online members aren't able to reach Lifetime now. But if we pay more for the meetings, we should have that benefit of not having to pay. Thanks for the heads up. I want to know more!! !